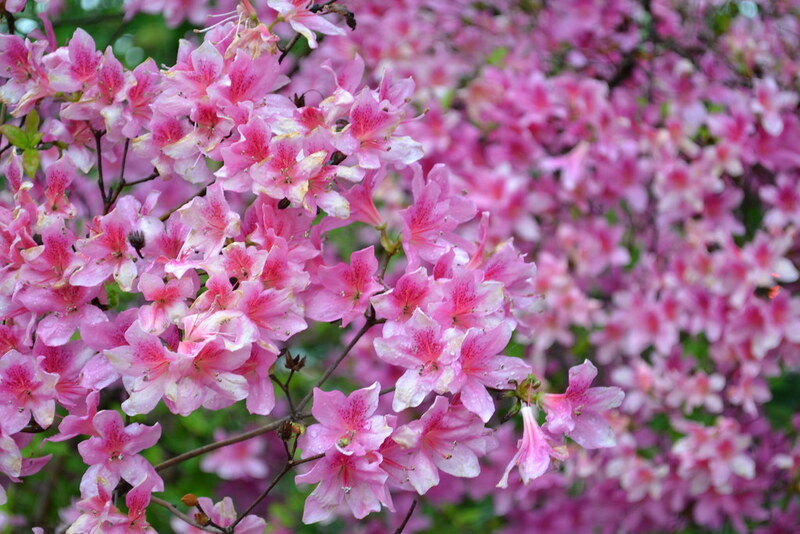 The Rock Garden has a wonderful variety of plants to see in spring. Curator Laura Powell focuses on drought-tolerant species, but that hasn't limited the beauty to be found within this jewel box of a garden. Various microclimates here support a wide range of plants native to mountainous and rocky areas of the world. Be sure to visit soon and often! Tulips originated in mountainous parts of Eastern Europe and Central Asia. Seeing these popular garden plants in the Rock Garden makes it easier to imagine them in their natural habitat. A number of evergreen species are grouped here, all of which prefer acidic soils. Their spring flowers appear in succession, with the heath coming first, in March. 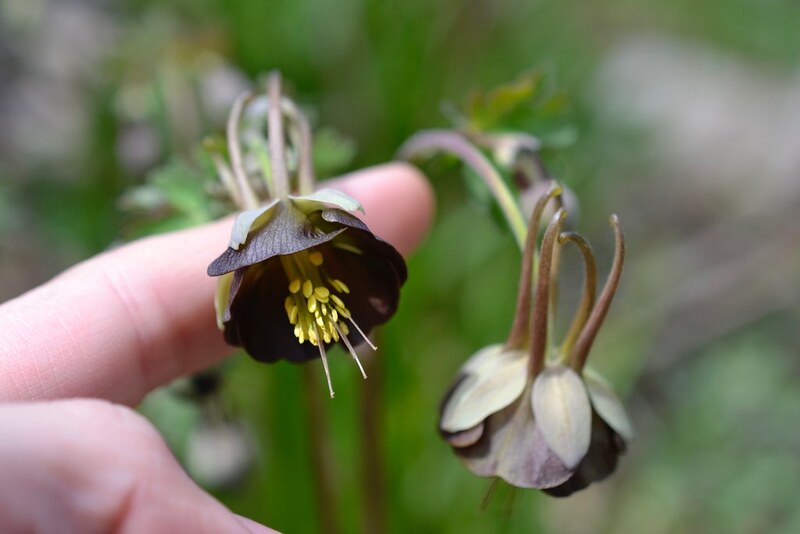 A variety of columbines grow in the Rock Garden, including this cultivar with unusual brownish-purple petals. This anemone relative's pretty spring flowers give way to seed heads that are just as attractive. In nature, this European member of the mustard family grows in mats in limestone crevices and along mountain streams. 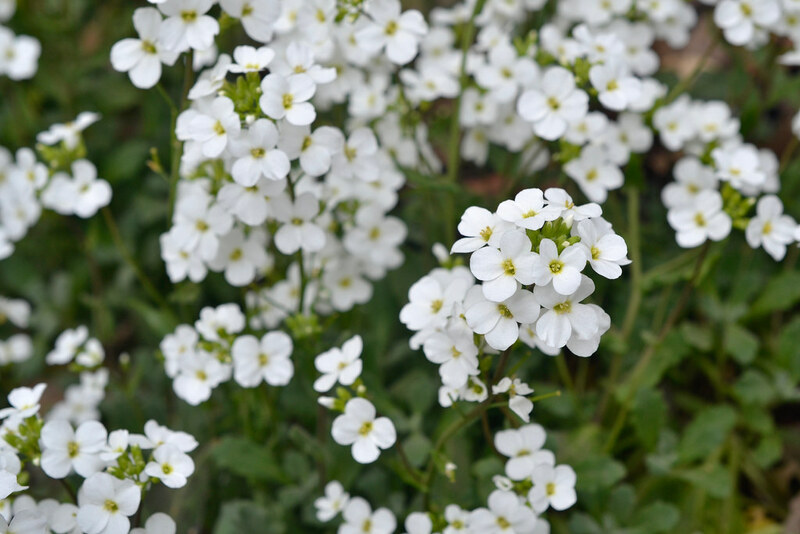 Pretty white flowers appear in spring. 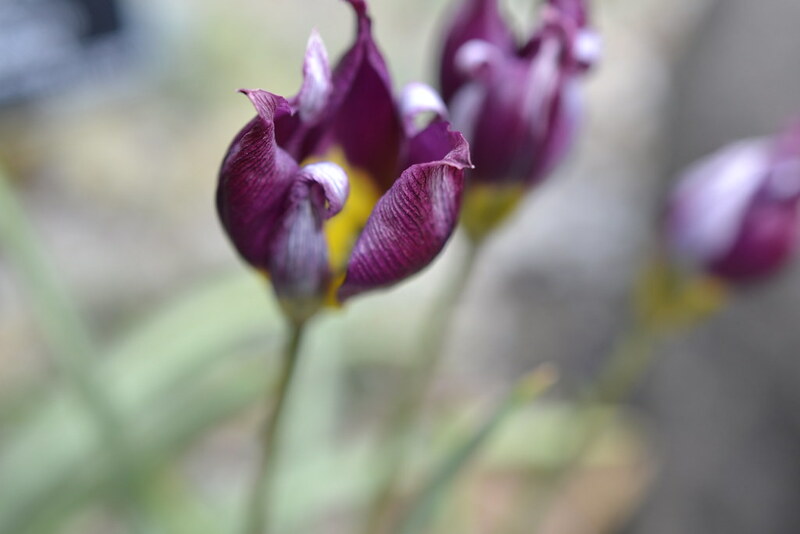 A number of these late-winter bloomers can be found in the Rock Garden. Many established themselves around the garden by self-sowing. 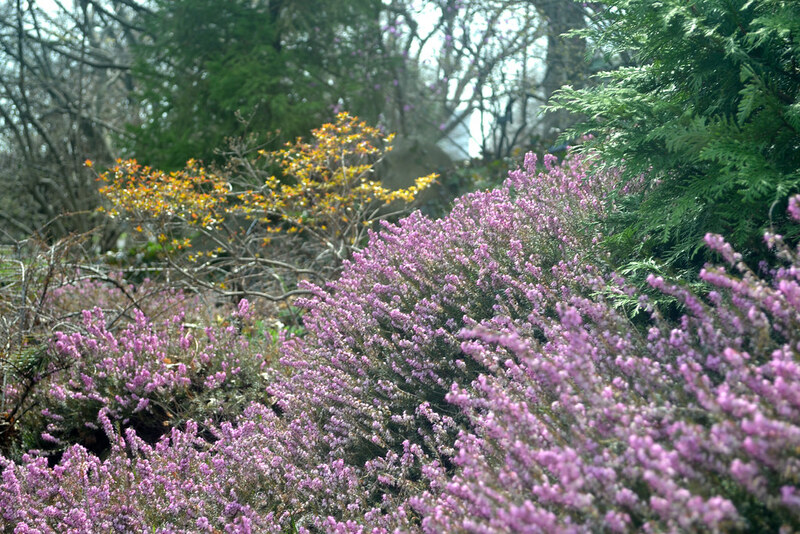 Erica carnea 'Springwood Pink' (spring heath) in the Rock Garden. Photo by Blanca Begert. Rhododendron 'Louise' (kaempferi azalea) blooming in BBG's Rock Garden. Photo by Elizabeth Peters. 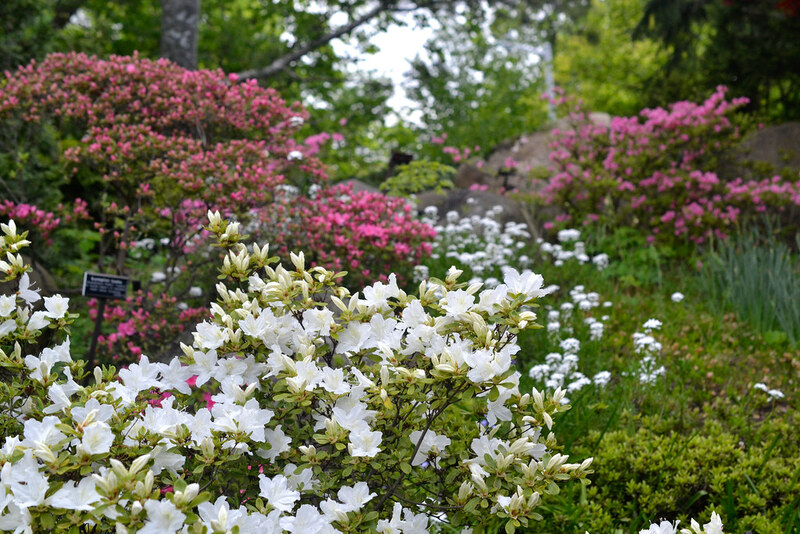 Rhododendron 'Delaware Valley White', in the foreground, in BBG's Rock Garden. Photo by Blanca Begert. 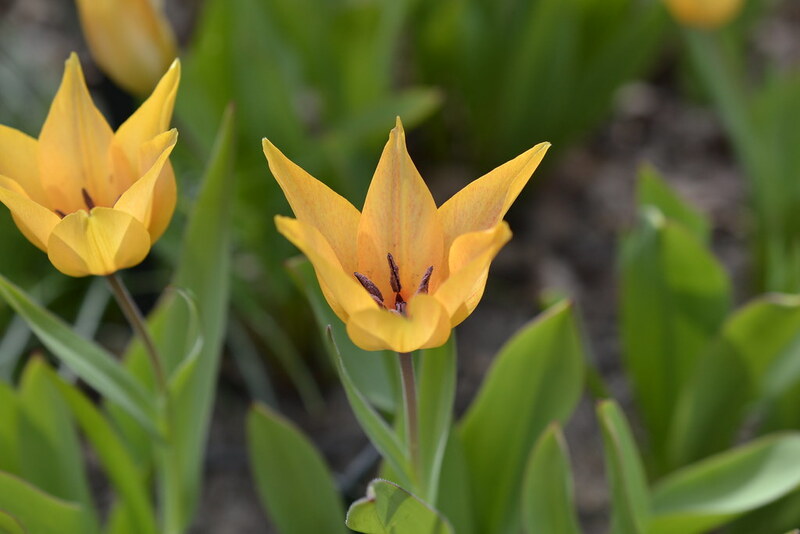 Tulipa praestans 'Shogun' in the Rock Garden. Photo by Blanca Begert. Tulipa humilis 'Persian Pearl (tulip cultivar). Photo by Blanca Begert. Aquilegia viridiflora 'Chocolate Soldier'. Photo by Blanca Begert. 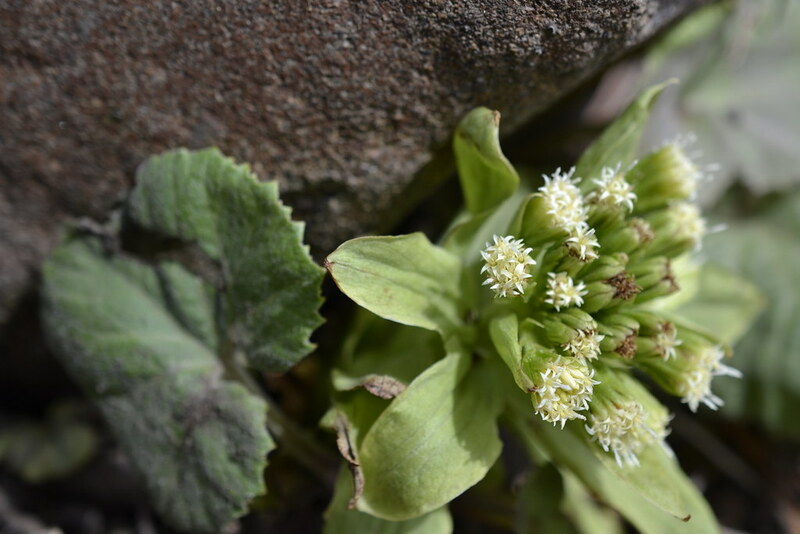 Petasites japonica (butterbur). Photo by Blanca Begert. Arabis alpina subsp. caucasica (alpine rock cress) in the Rock Garden. Photo by Blanca Begert. 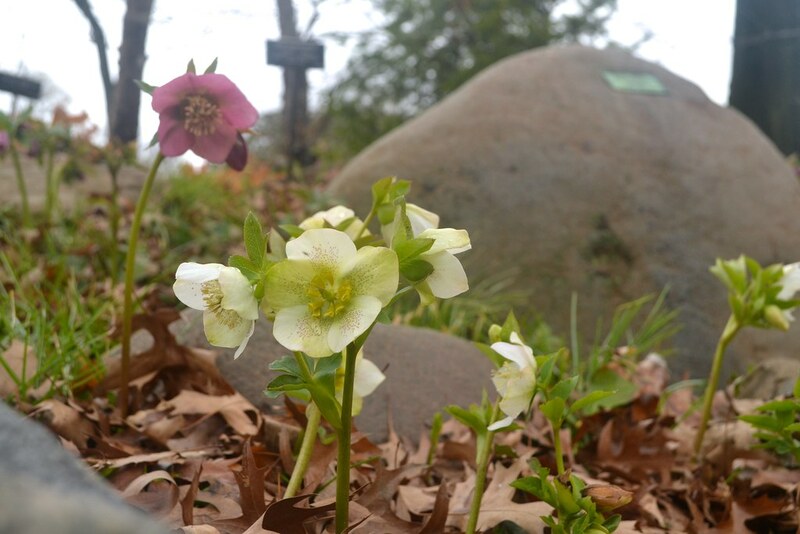 Helleborus orientalis (lenten-rose) blooming in the Rock Garden. Photo by Blanca Begert. 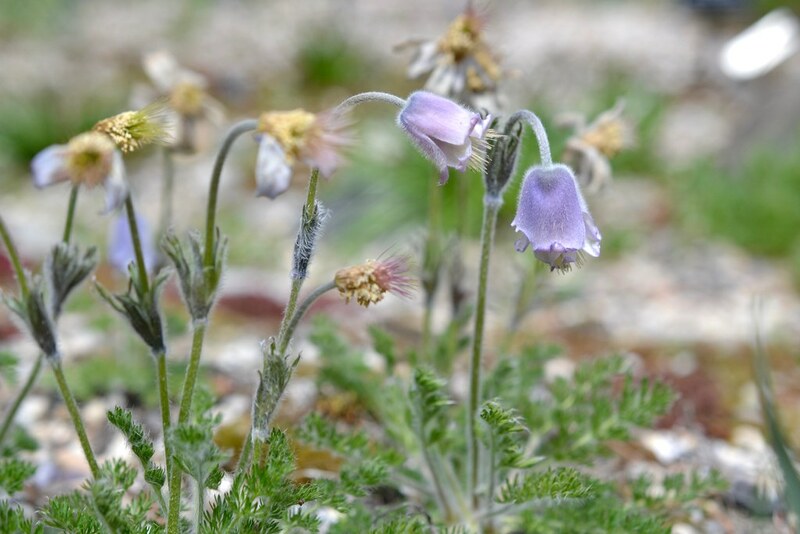 Pulsatilla violacea. Photo by Blanca Begert.